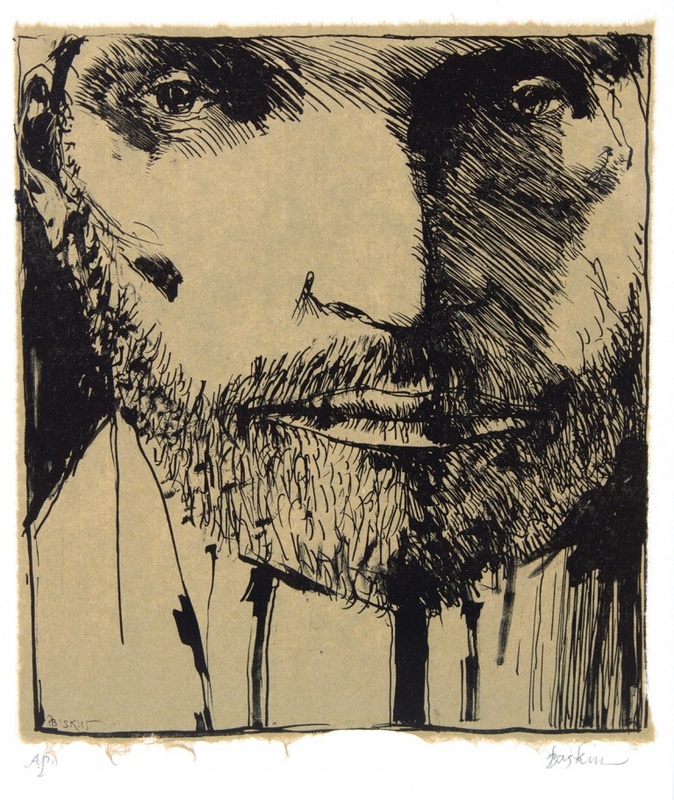 Leonard Baskin, Self Portrait. n.d. Woodcut on greenish brown wove paper, collé to cream wove paper, image 10 3/4 x 9 1/4 in. Collection of William Bronston. This exhibition is sponsored in part by U.S. Bank. Read more about the artist and this exhibition HERE.